The sewing in of ends can put a powerful frown on a knitter’s face. Any sewing of any sort seems to be might unpopular among knitters. While I haven’t yet heard of a way to make those sweater pieces graft themselves together (if I do I’ll run straight here to you!) I can share a way of weaving in those ends as you knit. Maybe that will relieve the knitting community of some of its terrible, tapestry needle inflicted burden! She didn’t find me witty or charming. She didn’t offer to sew in my ends. She didn’t come back either. Oops. Me? I’m not the biggest fan of sewing in or sewing up. I can do it. I seem to end up doing it a lot. But there are other ways I’d rather spend my time. If I can cheat and weave them in as I knit I’m doing that. I love me a good cheat. The term “weaving in” is a bit misleading. There is no weaving going on here at all. Its more like trapping. I’m using the horizontal bars that run between one stitch and the next to trap that end as I knit. 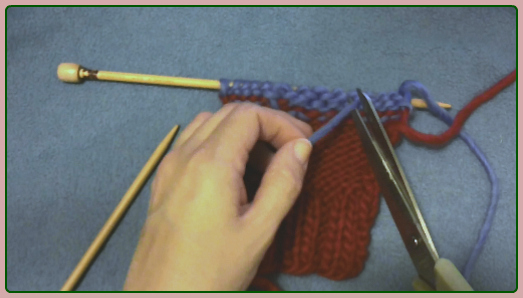 This method is very easy to get the trick of and if you’ve done intarsia color work, or stranded knitting with long floats, then it may look familiar to you. Hope that was helpful. 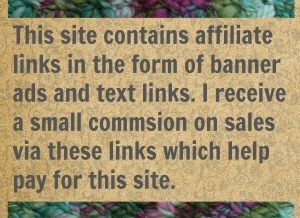 I have more free tutorials for knitters like this one that you might want to check out. And if you decide sewing ends in with a tapestry needle is a joyful pastime that you can’t bear to give up then… Hi! I’m Jenn and I’m your new best friend! Yarn Weights – A Heavy Subject Explained → ← What are your Needles and Hooks Saying About You? 7 Comments on "Sunday Stitch – Weaving In Ends As You Knit (no sewing!)" Awesome idea! I am going to try this on my next project! I usually duplicate stitch my ends but this looks much easier. 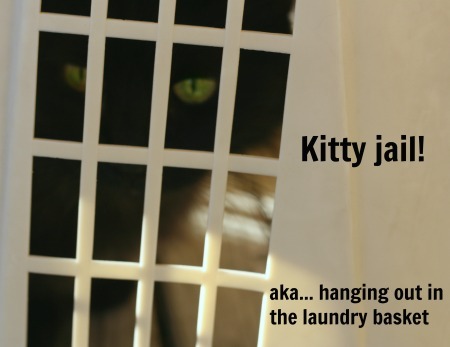 Do you think it will work for all yarn weights? Then you go on with it! lol. If I can just keep on knitting, and not stop to fiddle with a sewing/tapestry needle, then I’m gonna do it. 🙂 I’m a baddie like that. Thanks! I’ll watch it and maybe get the nerve to try it.